Dogs Sleeping Forum • View topic - An Operation Before He Was Born. A photo of a human womb with an unborn little boy at twenty-four weeks and weighing just two pounds inside it. 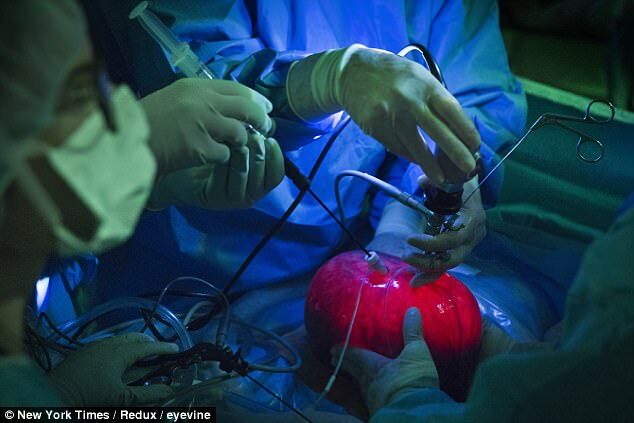 Surgeons removed the womb from the unborn baby's mother, so they could preform life changing spinal surgery on him. Re: An Operation Before He Was Born. Wow, I have never actually seen a womb being taken out of a woman's body...very interesting, it's quite educational, blokes should have a good look at it to understand the whole pregnancy process...it's quite surreal. It's amazing Holls, it's hard to believe that contains a wee human being. The advances in medicine are amazing.